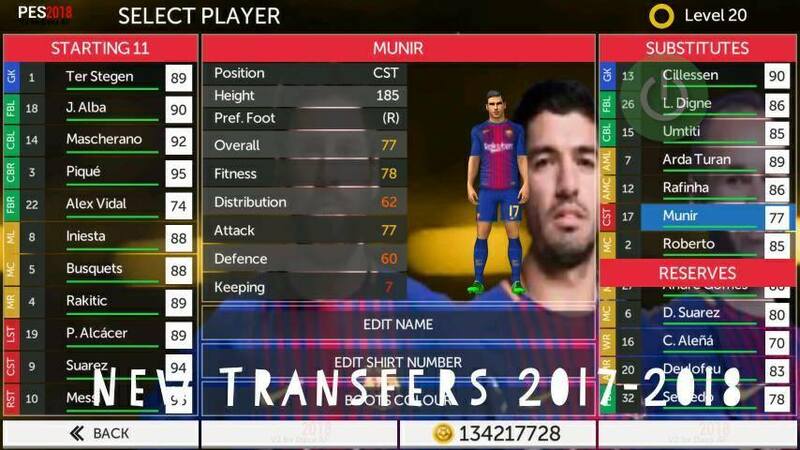 Download FTS Mod PES 2018 v2 by Dava - Is a First Touch Soccer game in Android devices that have been in the mod. To get the latest player updates, it is necessary. 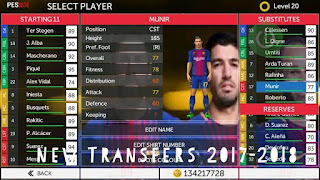 FTS Mod PES 2018 v2 by Dava Apk + Data Obb Android, Many new features that you would get in this version. With a file size of around 270 Mb, you can already play it in your device. Just download now and play !! For how to install this application is: download the file Apk, and then install and Play it. For a game that uses the Data/Cache/Obb in its game, don't forget to download the "Data" files/"SD" file, Before you play this game. If the File is .zip or. rar files, You must Extract the first File to your sdcard. (If asked for a password, enter: www.droidsoccer.com). Then move the extracted folder to the location: /sdcard/Android/obb. After that, you can go to the game and play. Completed.